Join us for our second event in a 3-part professional development series. Dan Gershenson, CEO of Caliber Brand Strategy + Content Marketing. 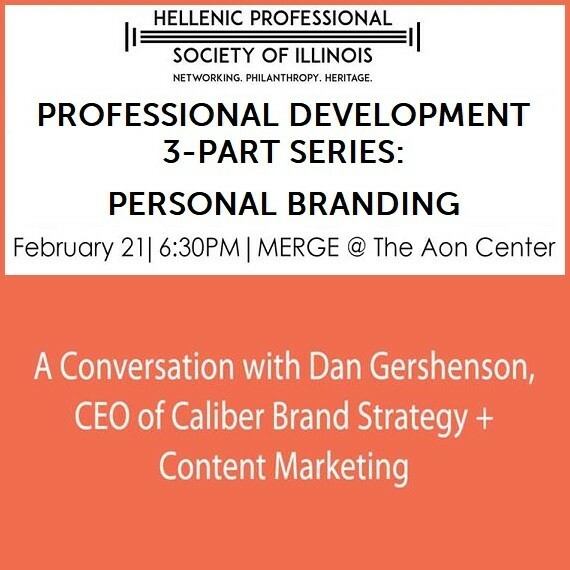 He will discuss how to develop your personal brand in an elevator pitch, your LinkedIn profile, and your resume, as well as how to become a thought leader in your field. He has extensive experience in content marketing, search engine optimization (SEO), online advertising and reputation management. Please join us!